Two hitchhikers team up for safety after hearing reports of a serial killer on the French roads. When a married couple offers them a bed for the night, and a ride to Calais in the morning, it seems too good to be true, but all is not right at the home of Mr and Mrs Grizard. Not the gorefest you might be expecting, Road Games starts off well and has some great moments, with some beautiful scenery shots to boot. It never quite builds the tension the story desperately needs, however, and is let down by plot holes you could drive an old Rover P6 through. 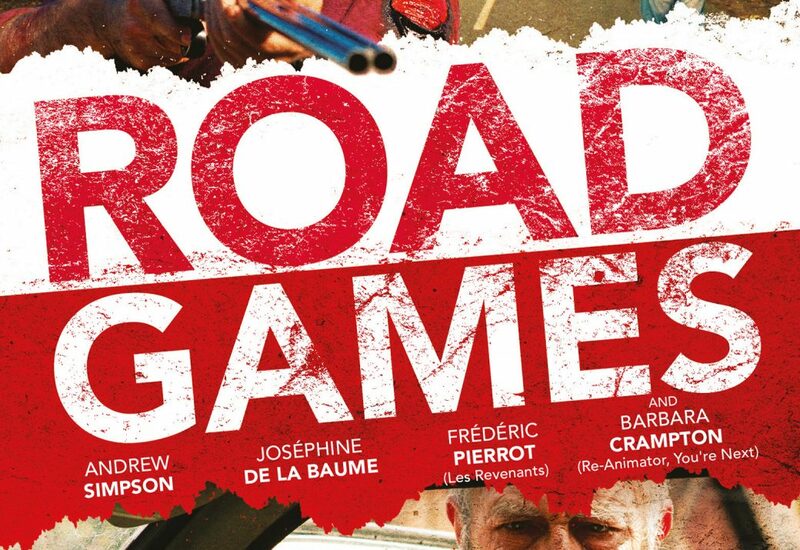 You can watch “Road Games” for free on Shudder with Amazon Channels. For the first half of Road Games, I was kept riveted to my seat. The acting is impressive and the story is gripping. There’s a serial killer on the roads of France, so to keep themselves safe the two leads – Jack and Veronique – team up to hitchhike together. They don’t know each other, but Veronique had a lucky escape from a tricky situation when Jack turned up, so there’s a level of trust between the pair. Then Mr Grizard arrives in a vintage Rover P6. He doesn’t just offer them a ride, but also a bed for the night in his enormous mansion and a lift to Calais in the morning so that Jack can get home to the UK. It seems perfect, but Veronique is instantly suspicious. At Jack’s encouragement, she reluctantly agrees to stay with Grizard and his wife, but events that transpire at the house suggest that she was right to be cautious. The setup makes it clear that the serial killer is going to be one of the four in the house (it’s a typical horror trope) so as an audience we’re immediately looking for clues. Could it be Jack, who has no bags with him, is sporting mysterious injuries, and makes odd comments like asking Veronique how she knows he’s not a killer? Could it be Veronique herself, who has recently been practising her own signature, doesn’t like to talk about her past and seems to latch onto Jack just a little too quickly? Could it be the passive-aggressive Grizard, for whom roadkill is a rare delight and who keeps making excuses to keep the pair at the house? Or could it be his wife, Mary, with her mouse-like nervousness, creepy mannequins and penchant for snooping into other people’s belongings? Then we get to the second half of the film, and for me, everything started to fall apart. The potential tension set up in the first half is never fully realised, the identity of the serial killer becomes painfully obvious, and the plot springs so many holes that it becomes impossible to keep afloat. The “twist” ending was also visible from a country mile away, and the actions of some of the characters are exceptionally questionable under the circumstances. Overall, Road Games will be your kind of thing if you like psychological horror that isn’t going to give you too many scares. If you can overlook the shortcomings of the plot, then there’s a lot to like: good acting, beautiful scenery and characters that are enjoyably eccentric. But if, like me, you expect some sort of internal consistency to the plot, you’d probably be best off steering clear.